The Pyramid…Once upon a time in the future! Municipality of Tirana organizes an event where the Mayor will announce the reopening of the Pyramid as cultural center and also at the same time he will present the Mayor of Nightlife. The atmosphere will be great with best music from Albanian DJ. 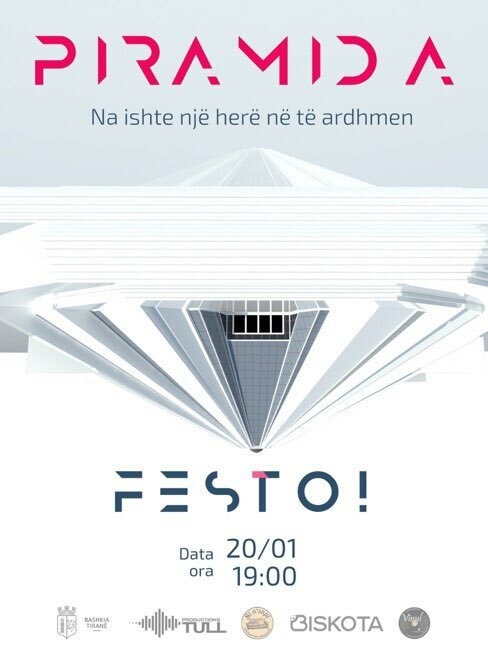 The event will take place at the Pyramid of Tirana, 20 January, at 19:00.